**The past few weeks have been wrought with an endless stream of media coverage and global debate over the mysterious disappearance of the Malaysian airliner that was en route to China. 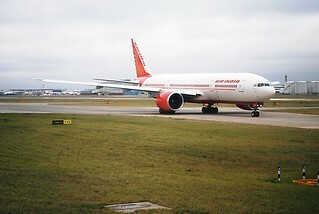 Every theory from terrorist plots to parallel universes have been suggested, however we still have no idea (at the time of this writing) what became of the Boeing 777 and the 239 people aboard it after the communications ceased shortly after it took off from the airport in Kuala Lumpur, Malaysia, on March 8. “C J, what happened to all those people on that plane? How could they just disappear like that?” I asked. “I don’t know, Mouse. Nobody really knows right now.” C J replied. C J stared blankly back at me. I could see she didn’t understand it, either. But she tried to explain. “Well, Mousie, I suppose it’s been pretty crazy over there in Malaysia and in China for all the people waiting for some word about the plane. After all, so many people were on that plane and if they all have families waiting at home for them…,” her voice trailed. C J looked at me and half-smiled; I know she thinks I’m silly…until she remembers that I am just an animal. I don’t understand, really. Isn’t it possible for some strange miracle? Isn’t that what this thing humans call “hope” is about? “Mousie, I wish I could tell you what you wish to know. Sadly, the only thing I do know: there are a great many people in terrible angst over the status of their loved ones at this moment. Some may have even lost more than one or two family members or good friends. It is awful not to have any idea if they died, especially since there is not one shred of evidence saying so. They have not seen one piece of wreckage yet! No dead bodies. No luggage. No bits. No pings from the aircraft’s black box. Therefore, it is a huge shock in the first place just trying to understand that the plane just vanished, seemingly. Then weeks go by. Nothing. Think about it. NOTHING! Yet, those people are waiting, going on worries and no sleep. They imagine the worst, but they pray for miracles. Day in and day out. Imagine living each day like that…,”C J explained. “I can’t imagine how painful for them that must be. It truly must be awful,” I replied. “No, no! It’s because there’s no reason to point to which definitely says ‘yes, it is so, yes those people on the plane are dead’ and the reason to hold onto hope still exists, however it is getting late, and the chances seem not to be in favor of finding anyone alive, I would suspect,” C J said. “What if they never ever find that plane or the people?” I asked. May they all be comforted knowing the entire world waits with them in spirit, for the definitive answer. May they have peace and consolation they need once the truth can be known. Until then, let no one disparage them for their faith and hope in what may be possible. Let the world bestow only mercy and compassion upon those at the darkest hours of their sorrow and support them through it with grace. For now, it may be all they have. This entry was posted on March 26, 2014 at 2:25 am and is filed under Airplane, Airplane crash, bereavement, Death, Grief, Haunting, Life, Losing A Parent, Loss, Love, Memorialization, Mourning, Relationships, Spirits, Thought For Today, Tragic death with tags Boeing 777, China, Kuala Lumpur, Malaysia Airlines, NajibRazak, Prime Minister of Malaysia. You can follow any responses to this entry through the RSS 2.0 feed. You can leave a response, or trackback from your own site. Let’s just hope that all this working together between the countries continues. We need something good to come out of all this. No worries! I am happy to see you! You are right about the benefit of cooperation here. We have a common mission — we simply must find answers to this enigmatic problem. The sooner, the better for all. They have to continue looking for wreckage in case it points to a problem with the aircraft that could happen again. They have to keep looking because it’s unlikely something could disappear totally without trace, and anything found may give a clue as to whether the plane was hijacked or blown up. They need to find out that someone is responsible. They have to keep looking because those people still waiting for answers need some closure so they can get on with their lives. At the moment those waiting don’t know whether to mourn and get on with their lives or continue to have hope that a hijack may mean the plane is on an island somewhere. The problem is so many theories are put forward but never any proof. All we can do is hope for closure soon so those who have lost someone know what to do…….. Thank you for that impassioned reasoning for why we must have this mystery solved…we just simply must. Too many theories, conflicting stories, lack of evidence, political posturing….I do not belive what they are saying…no reqason to trust any of them. A sad time in our world. I am with you. This one is way over the top weird for me to wrap my own mind around. Just baffles me beyond words.